The irony of this situation dawned on me when I messaged Katie recently about this blog post. I have known Katie since we were incredibly young in SWIMMING LESSONS. Our parents were preparing us for our love of, respect for and confidence around the water. We attended the same high school and stayed in touch throughout college and beyond, where she’d surprise me by attending just about any networking event that my dad’s court reporting business was hosting (that I was attending as one of his marketers), as a lawyer and active member in Milwaukee’s legal scene. So, when it occurred to me that the Chicago post I had planned for Friday needed to be replaced by a Milwaukeean’s take on the city to share on Milwaukee Day on 4/14 (the area code throughout the city), Katie popped into my head as an obvious, positive, generous candidate - she accepted my request in basically moments. Take it away, Katie. Growing up in Lake Country, I've always held a special place for a spot by the water. 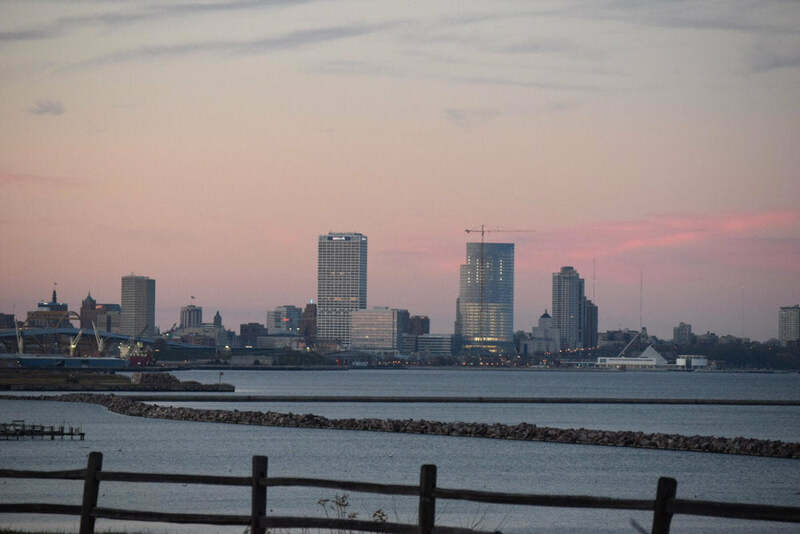 Living in Milwaukee for the past nine years, I've enjoyed countless moments on its beaches, memories by its lake, and journeys down its three rivers. A year ago when my husband and I decided it was time to leave our condo downtown for a piece of green space, we threw our search net wide. 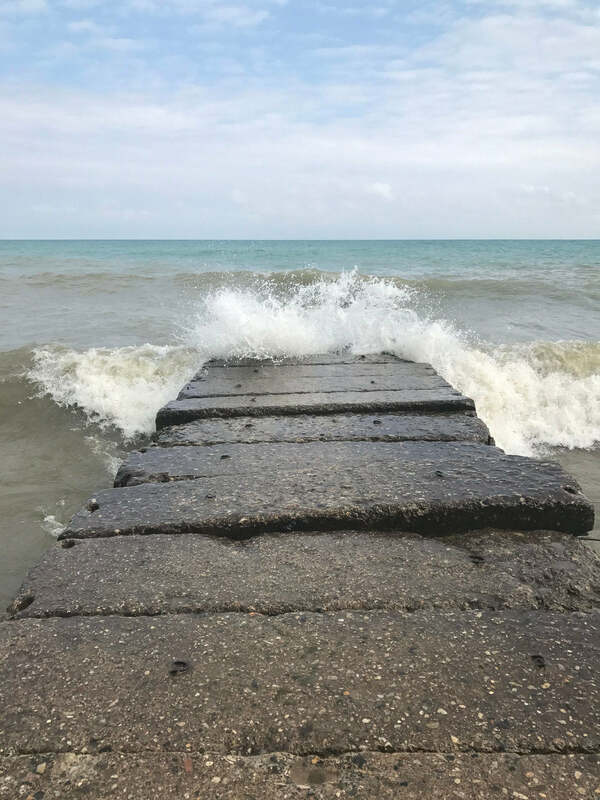 During months of searching, we kept being drawn back to the water, back to Lake Michigan. One morning a little stone house appeared on my search. A little stone house on the Lake. Within hours of it being listed, we had an accepted offer. One year and a thousand projects later, we are still making the house ours. 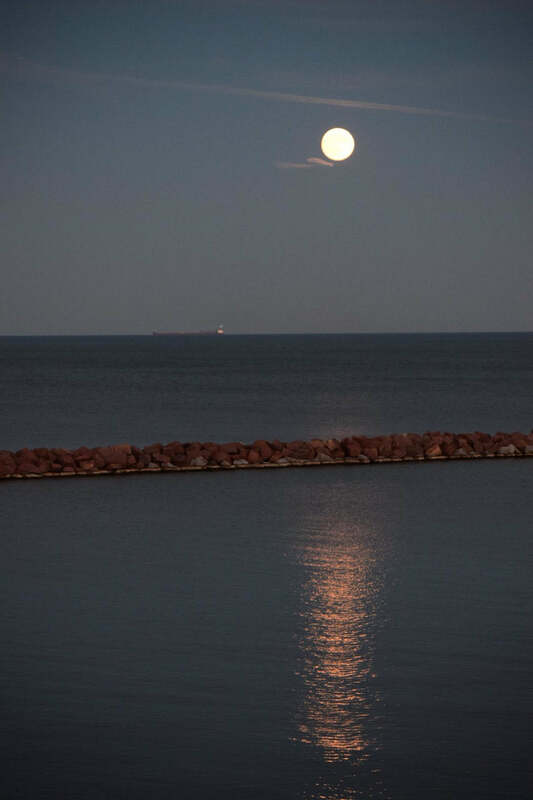 That same year later both unchanged and ever-changing is Lake Michigan. 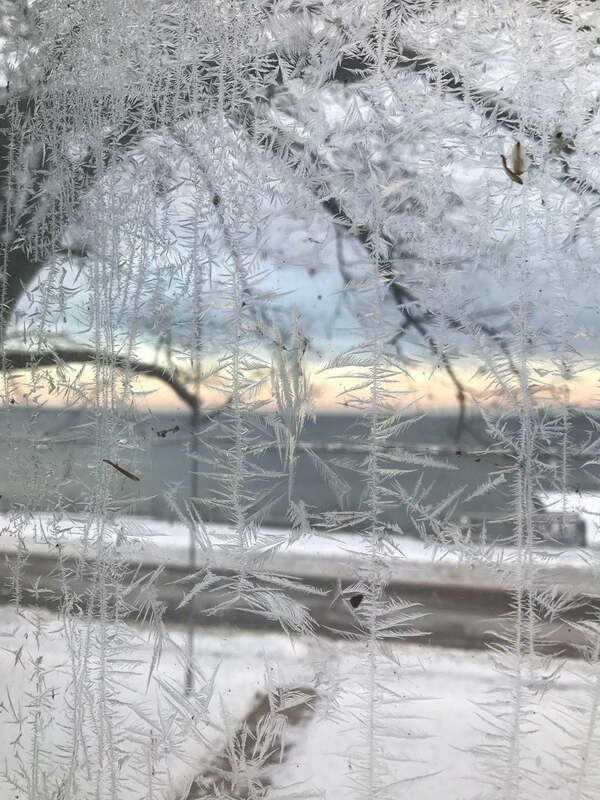 Hundreds of mornings looking out over the Lake, it remains as mysterious to me as the first day I viewed it all those years ago. It has its stormy blue days, its tropical and soothing greens, its peaceful purple and pink days. But never one day the same as any other. Its endless variety completely astounds and captivates me. 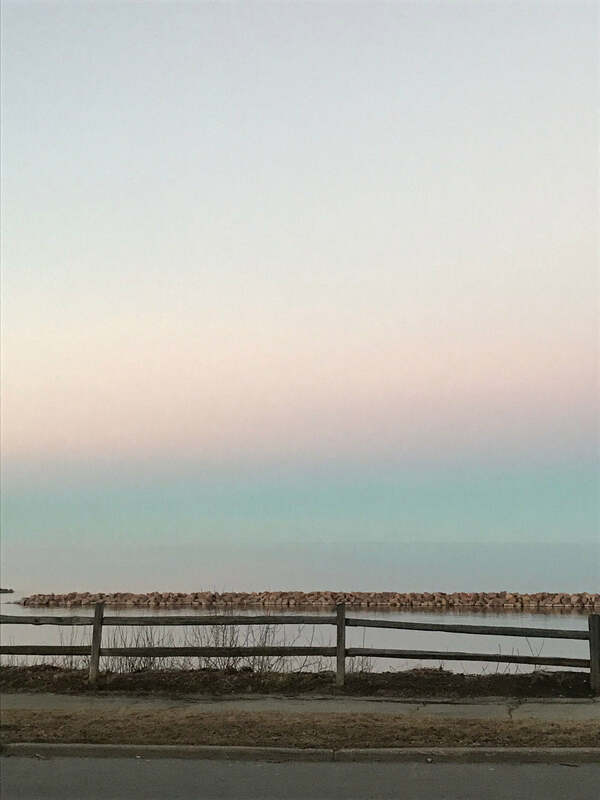 Countless times I've found myself losing time staring out at Milwaukee's “ocean” view. 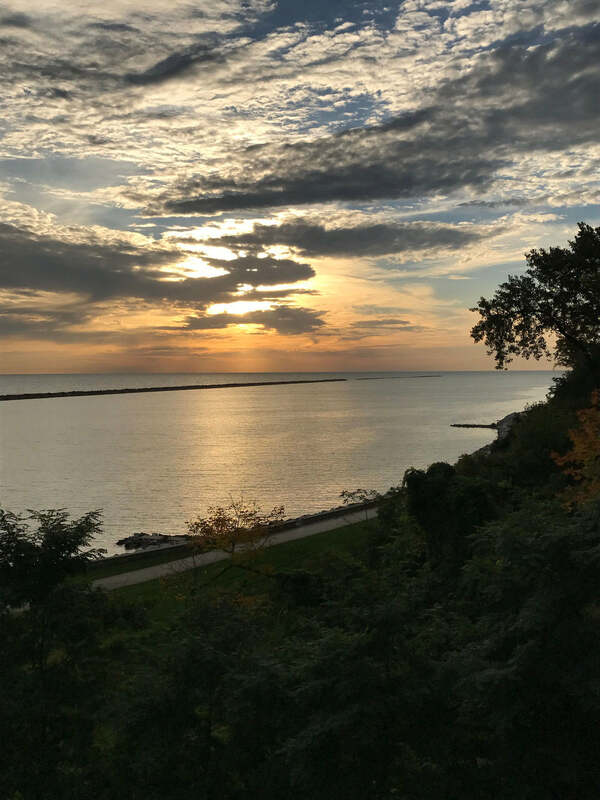 Where we live, in Milwaukee's Bay View neighborhood, Lake Michigan has more to offer than a view that’s easy on the eyes. 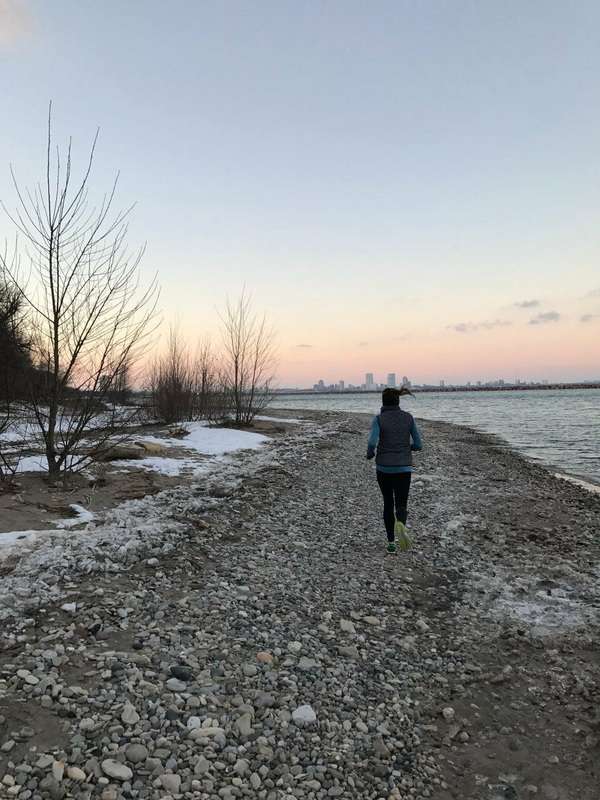 I frequently enjoy its miles upon miles of lakeside running trails that stretch farther north, west, and south than my feet could ever carry me. 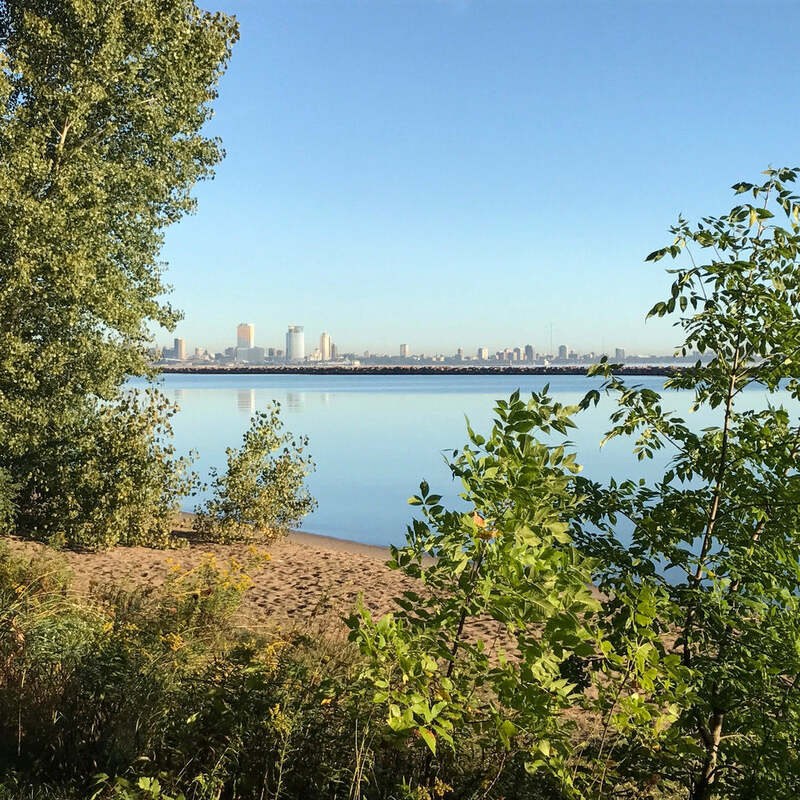 A multitude of Milwaukee County parks span the lakefront and include amenities ranging from golf courses to beer gardens to yacht clubs. I recommend frequenting them all. 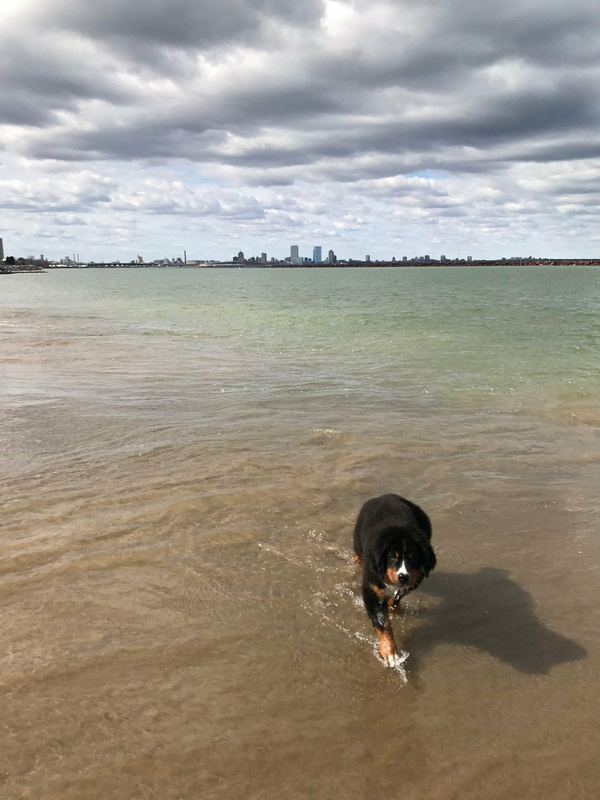 And the lake's rocky and sandy beaches have provided a water paradise for our dog, Moose, who will romp through the water in any temperature. 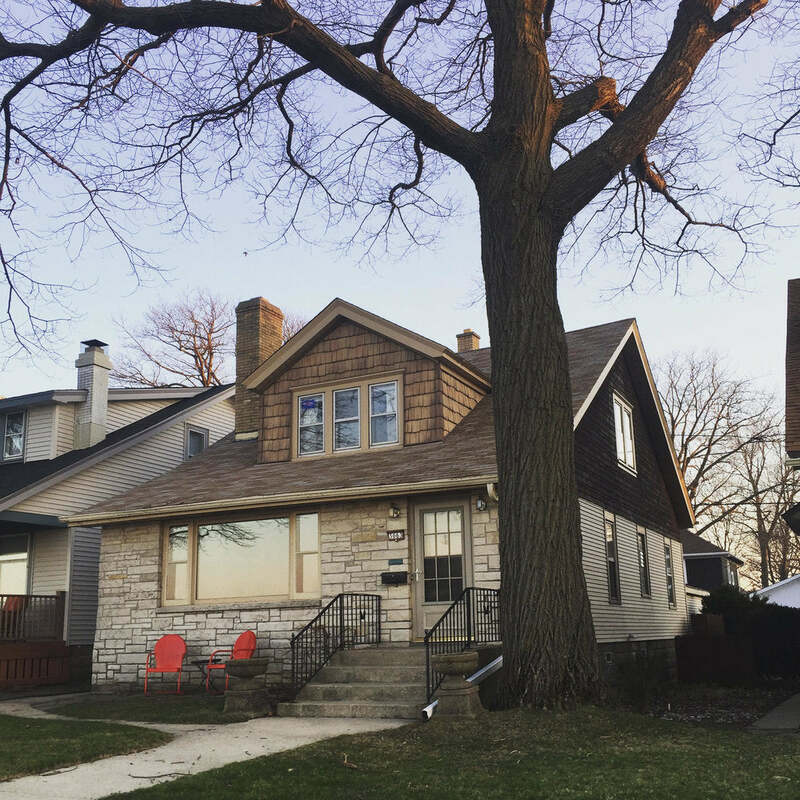 Bay View is definitely an up and coming neighborhood, but it has more to offer than most people know and a large part of that is due to its proximity to the lake shore. 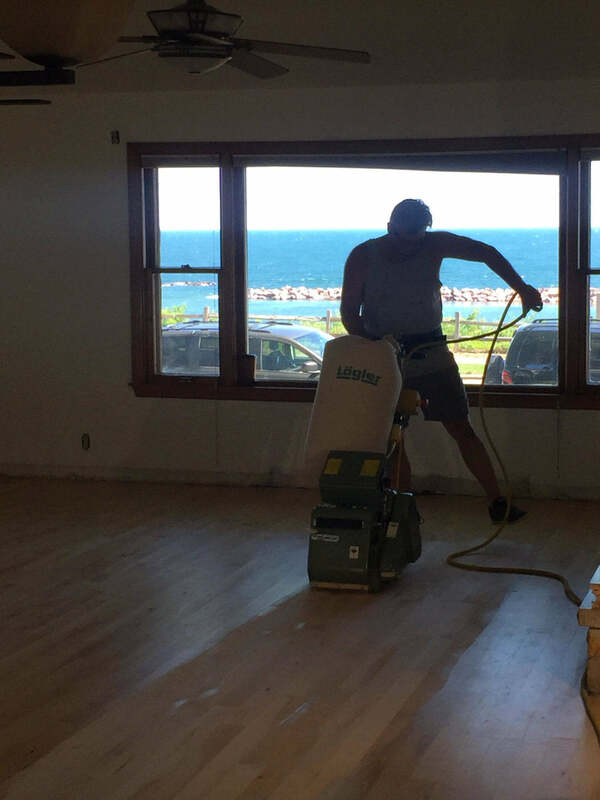 Lake Michigan called us to Bay View and to the house we continue to work at, but it is the Lake that has always made it feel like home.